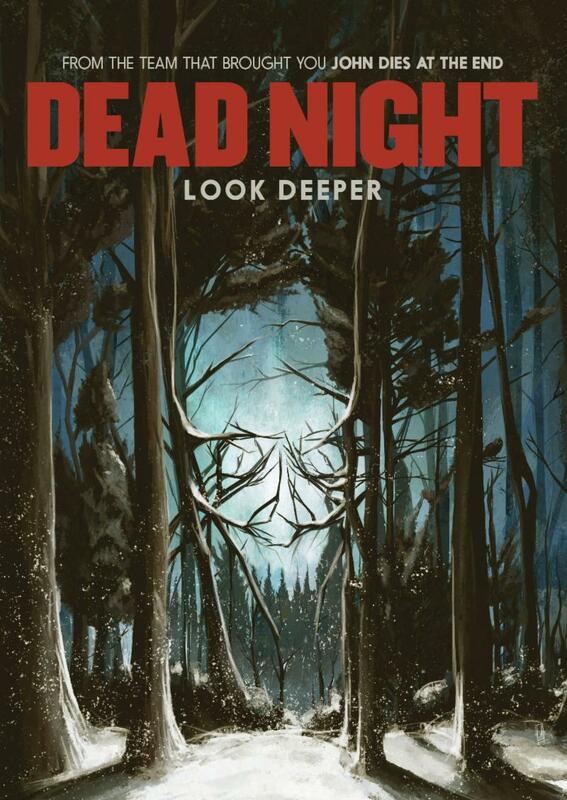 Dark Sky Films are proud to announce that DEAD NIGHT will be making its way to DVD this September in America. Mixing original storytelling with timeless supernatural elements, DEAD NIGHT the directorial debut of Bradford Baruh - features a stellar cast of genre favorites including Barbara Crampton (RE-ANIMATOR), Brea Grant (A Ghost Story)and AJ Bowen (You're Next)and delivers a wild and terrifying weekend away. The Dark Sky Films 2018 theatrical release premiered at the Fantastic Fest. DEAD NIGHT also had its European Premiere at Arrow Video Frightfest film festival this August in London. "an ambitious film whose strength is in its strangeness." James and his wife Casey load up their teenage kids and head to a remote cabin in Oregon for a weekend trip. When James ventures into the dark, snowy forest in search of firewood, he encounters a woman hidden in the frozen terrain and barely alive. James brings her back to the cabin for help, but the family has no way of knowing that the woman's presence will be the catalyst for a series of horrifying events and bloody carnage that will change their lives forever. You can read our review of DEAD NIGHT by clicking HERE. DEAD NIGHT comes to DVD in America on 11th September 2018.